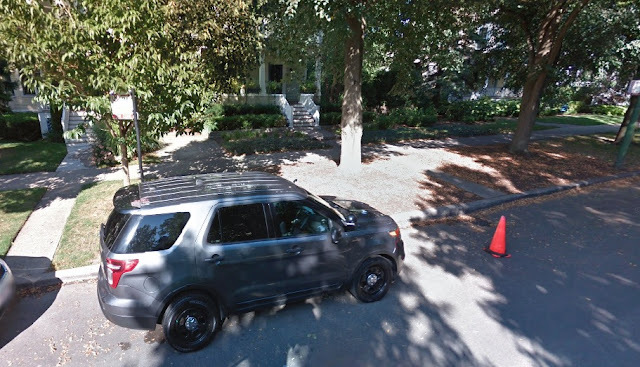 Car 1926-Adam sits in front of the mayor's home in this Google Streetview image. UPDATED 4:30PM with statement from CPD. Chicago police officers who are assigned to sit outside of Mayor Rahm Emanuel’s home at 4228 North Hermitage have been ordered to not work with the body-worn cameras (BWC) that other officers are required to wear. News of the development came this morning on the Second City Cop blog. 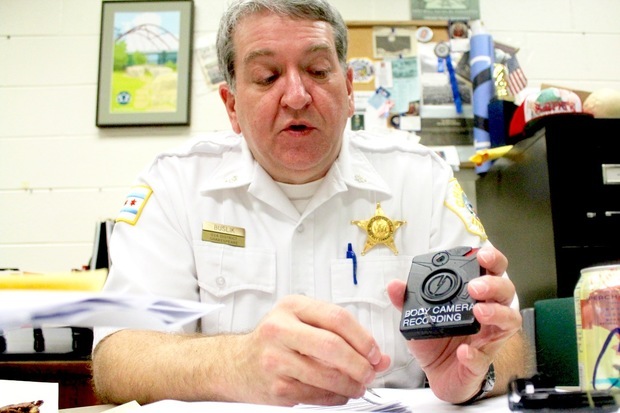 Now, CWBChicago has learned that the no-camera order was issued by someone who “out-ranks” 19th District Commander and BWC champion Marc Buslik. Whether that person is a police executive or a member of the mayor’s office was not immediately clear. We have also learned of a gang-related foot chase, gun recovery, and arrest that took place just two weeks ago directly across from the mayor’s home. The apprehension of the suspect—who’s on parole for shooting a man in Uptown—was assisted by the no-camera house units. Support CWBChicago for as little as $4.08 a month to receive members-only reports and services. On December 20, a covert police gang investigation related to a series of shootings in Uptown ended with a foot chase, a gun recovery, and an arrest directly across the street from Mayor Rahm Emanuel’s front door. Around noontime, undercover units established a surveillance operation in Uptown related to “gang violence and shootings occurring within the 19th District,” according to papers reviewed by CWBChicago. We are withholding the exact address of the surveillance operation at the request of the police department. During the operation, officers saw a series of suspicious actions on the street, in vehicles, and on the sidewalk. Around 3:15 p.m., officers attempted to make an “investigatory stop” on a vehicle in the 4500 block of North Ashland, police said. But, the car took off as officers stepped out of their unit. The vehicle—a gold Mercedes—was found abandoned minutes later in the 4400 block of North Paulina. 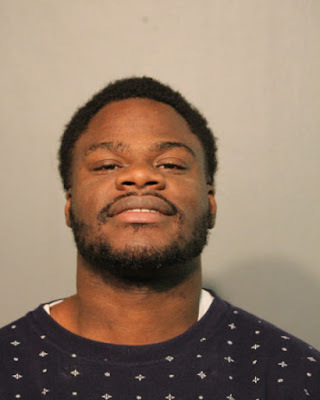 Minutes later, the police unit assigned to sit in front of the mayor’s home reported seeing a man matching the description of the wanted offender walking into a gangway north of Emanuel residence. Other units, guided in by the mayor’s front-of-house car, soon arrested 24-year-old Antwon “Trap” Jackson as he emerged from another gangway at 4225 North Hermitage—directly across the street from the mayor’s front door. Review of police pod cameras that were installed to protect the mayor’s home captured images of Jackson walking southbound on Hermitage before cutting into yards and gangways, police said. Police said the abandoned gold Mercedes is registered to Jackson. Prosecutors charged him with reckless conduct for leaving his car on the road—but nothing else. Assistant State’s Attorney Sharon Kanter declined to pursue the unlawful use of a weapon charge “pending forensic and latent print results” of the recovered firearm, police said in their report. But Jackson may have cut those plans short. At a court appearance on December 29, Jackson immediately pleaded guilty to the reckless conduct charge in exchange for a 45-day sentence from Judge Anthony Calabrese. Records show that in 2012, Jackson was charged with attempted murder for allegedly shooting a man in the 900 block of West Sunnyside. The charge was reduced to aggravated discharge of a firearm in a plea deal that saw him draw a 7-year prison sentence. He was paroled in October 2016 and will remain on parole until October 2018, according to state corrections records. He has twice been charged with having street gang contact in Uptown while on parole. Both cases were stricken by Calabrese. Incredibly, a high-ranking executive recently issued a verbal order that no body-worn cameras are to be worn by officers assigned to sit outside of the mayor’s home. The information was today confirmed by two police department sources who agreed to speak with CWBChicago anonymously. The no-camera order applies to 19th District officers assigned to the "1926" cars that simply sit outside the Emanuel home 24/7. At least four cars are assigned to the unit. One sits in front of Emanuel's home. Another in back. A third roams the block. And, then, there's a sergeant. None have access to the Emanuel home and none travel with the mayor's executive protection detail. Especially surprising is that someone "out-ranking" the local police commander would order BWCs to be put away. Local Commander Marc Buslik has been at the forefront of the department's BWC roll-out program since 2016 when he was assigned to the Shakespeare District. "This is your silent partner.," Buslik told officers who adopted BWCs early on. "[It's] going to back you up, and nobody can question motives." “While this expansion to the districts is complete, our work isn’t done yet,” Johnson said last month. So, the question must be raised: What is outweighing transparency at 4228 North Hermitage? So, it naturally follows: What is trumping police officer safety at 4228 North Hermitage? Mayoral spokesman Adam Collins did not respond to multiple requests for comment throughout the day.